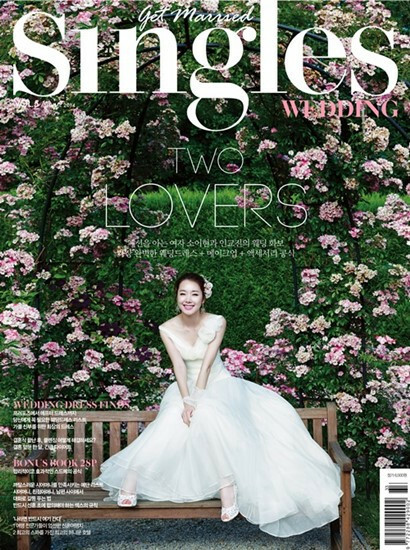 Actress So Yi-hyun and actor In Gyo-jin’s wedding pictorial was released in the magazine Singles Wedding. The pictures of the soon-to-be-married couple were taken in Chateau, France, an area near Paris. So posed elegantly in various wedding dresses and the couple looked lovely together. The whole pictorial and interview about their love story can be seen in the August issue of Singles Wedding.